Studio sale! 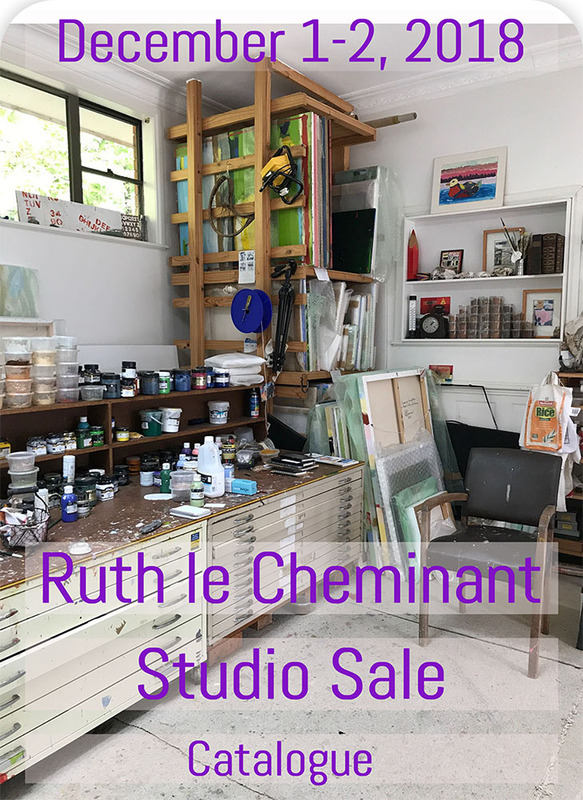 A wonderful opportunity and a unique chance to purchase quality paintings from Blue Mountains artist – Ruth le Cheminant. Make a date, take a trip to the top of the hill and visit her studio Saturday 1 December and Sunday 2 December 10am – 4pm in Wentworth Falls and choose your painting. The catalogue for Ruth le Cheminant Studio Sale 1&2 December 2018 lists the large paintings available. There are also 20+ smaller works available not listed in the catalogue – oilstick on paper, ink on board, collage and acrylic on canvas and numerous framed. Many paintings in the catalogue are not on the webpage so if you are interested in a particular painting and it’s not on the webpage you can email me at ruth@theloadedbrush.com.au, message me or you can give me a call for more information. The address and map to Ruth’s studio is on the last page of the catalogue. Looking forward to seeing you over the weekend of 1 & 2 December, 2018.